Field Experience Internships are available in China, Romania, and Turkey. 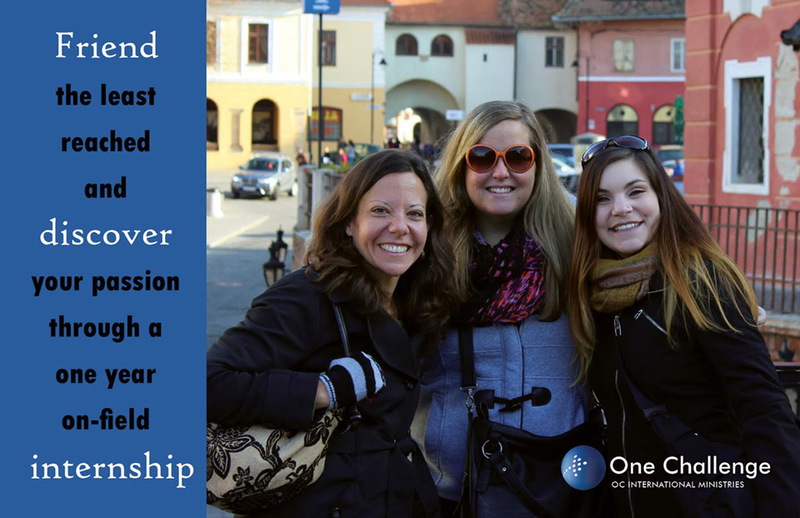 Email us at Short-term missions (ShortTerm@oci.org) if you have any additional questions about our short-term trips. To begin your journey, fill out our Initial Contact form. One Challenge is an international mission sending agency empowering local church ministry in more than 100 countries around the world. We seek to empower the whole body of Christ to bring a transforming love and hope to all people. When invited by local leaders, OC facilitates local bodies of believers to identify, train, and send global workers toward realizing a “from everywhere to everywhere” vision. For more information, please email OC Mobilization at mobilization@oci.org. Or go to our Mobilization blog at ocimobilization.wordpress.com/blog/.